Cooking Right, Looking Good in 2019! 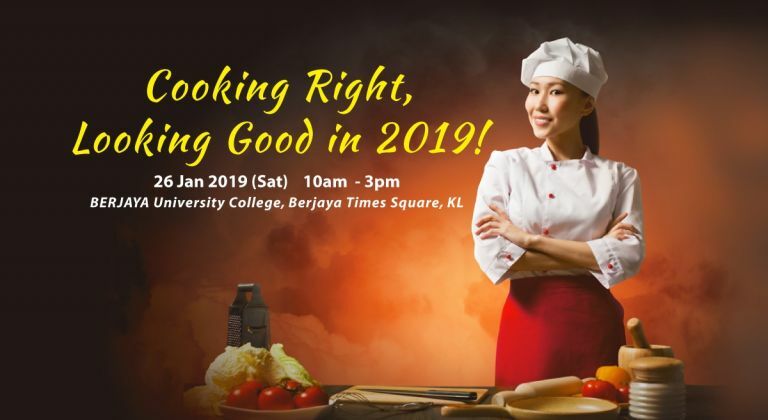 Home › Blog › Cooking Right, Looking Good in 2019! 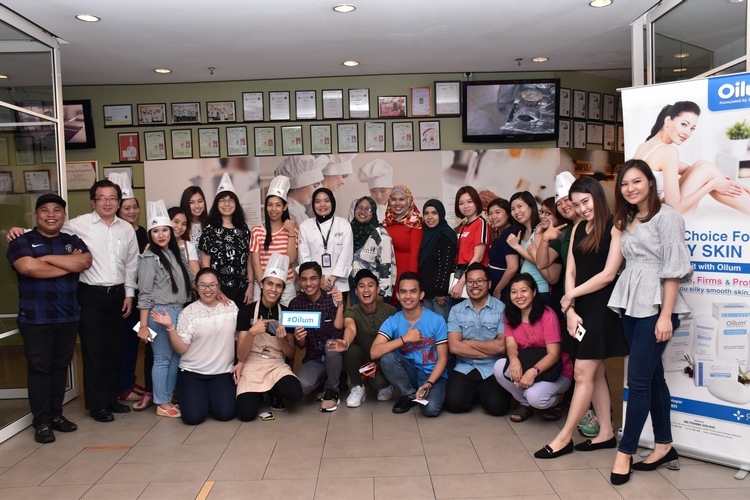 It’s not often when bloggers get a chance to be trained by a professional Chef, roll up their sleeves to whip up a full-course meal and have them judged for presentation, taste and creativity. 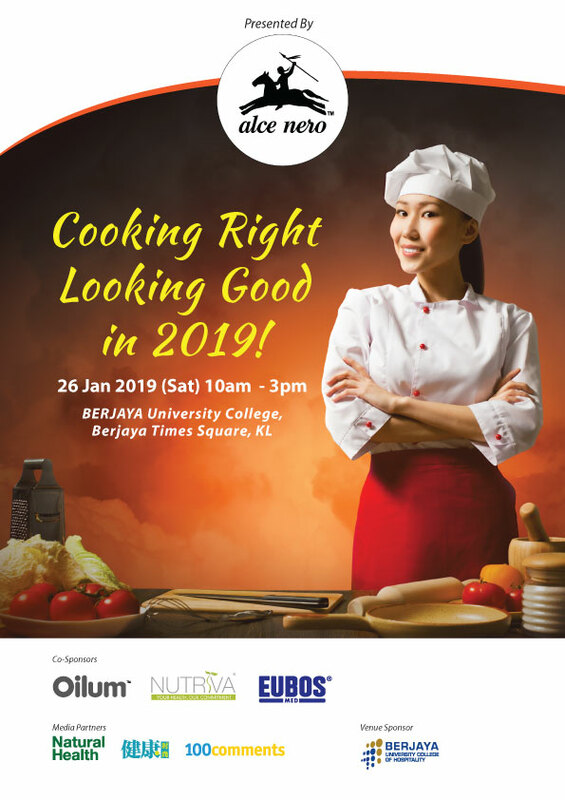 So, when the chance came up to participate in the exciting Cooking Right, Looking Good in 2019 event by Alce Nero at Berjaya University College, 23 bloggers and influencers donned their chef hats and aprons and set the kitchen on fire, in a good way, of course. 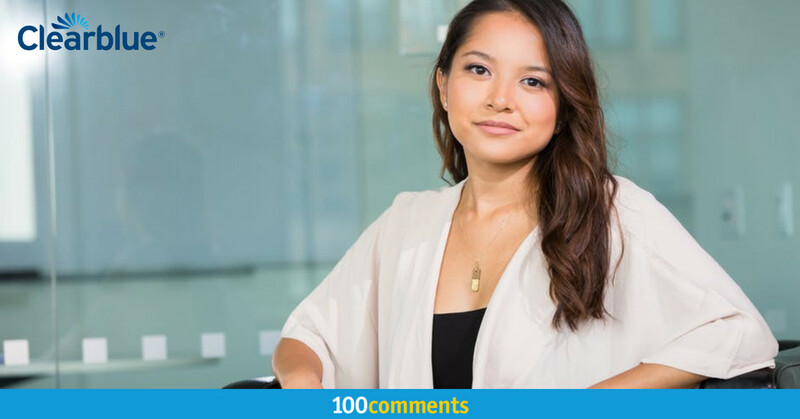 The event was jointly organised with 100Comments, the nation’s leading independent review platform, and co-sponsored by Oilum, Nutriva and EUBOS. 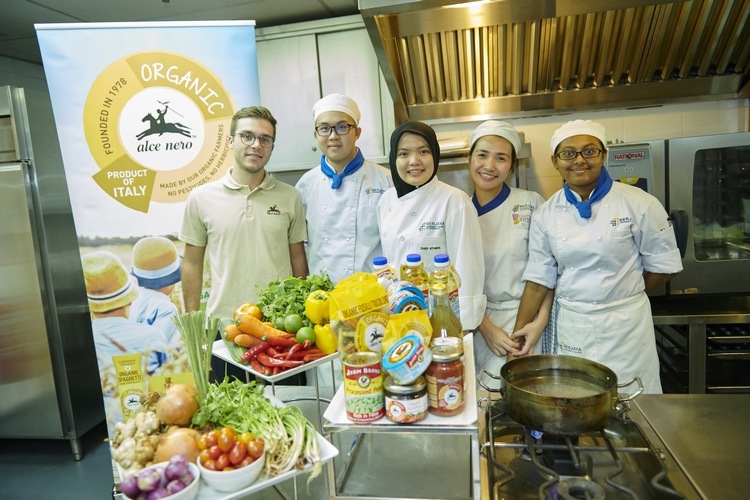 Before the cooking session started, the participants were introduced to Alce Nero’s range of organic products. 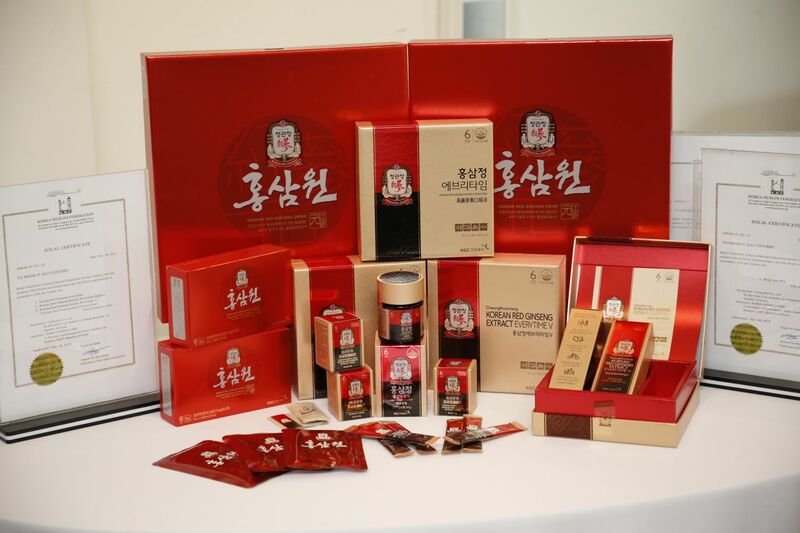 Established in 1978, Alce Nero boasts of nearly 300 organic products from pasta, rice, tomato pulp and sauces, vegetables, legumes and puréed soups, biscuits and fruit juice, fruit preserves and honey, as well as vegetable drinks and a baby-food line. 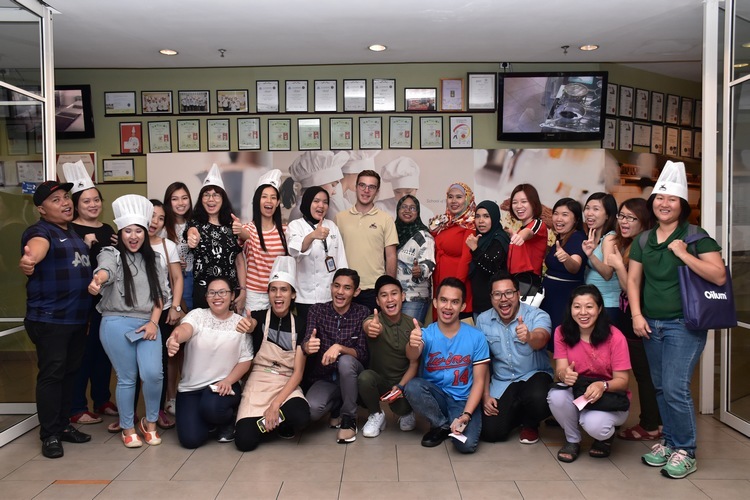 According to Mr Nathan Deverre, Strategic Marketing Advisor, Ayam Brand Malaysia, the products which are grown and processed in Italy on fields that are free of chemicals and pesticides. 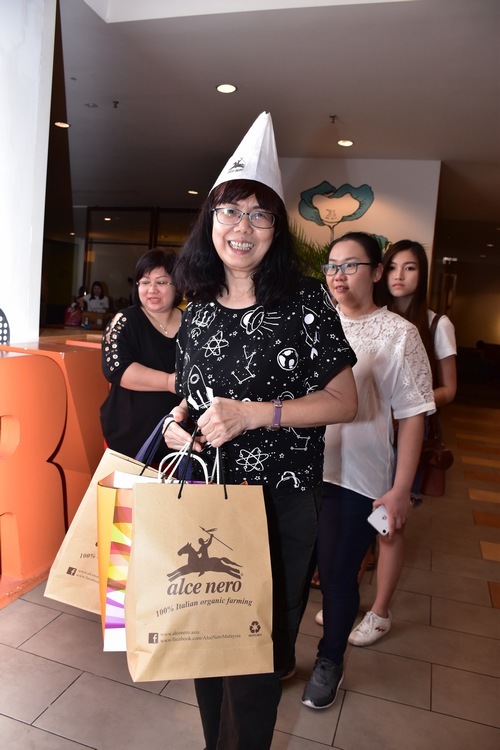 She loves Alce Nero’s range of organic products! 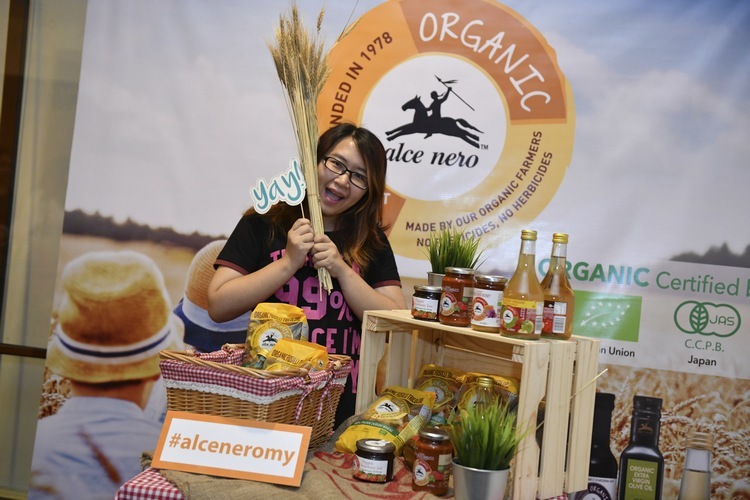 Everyone was excited to begin whipping up delicious meals with Alce Nero’s wholesome products. 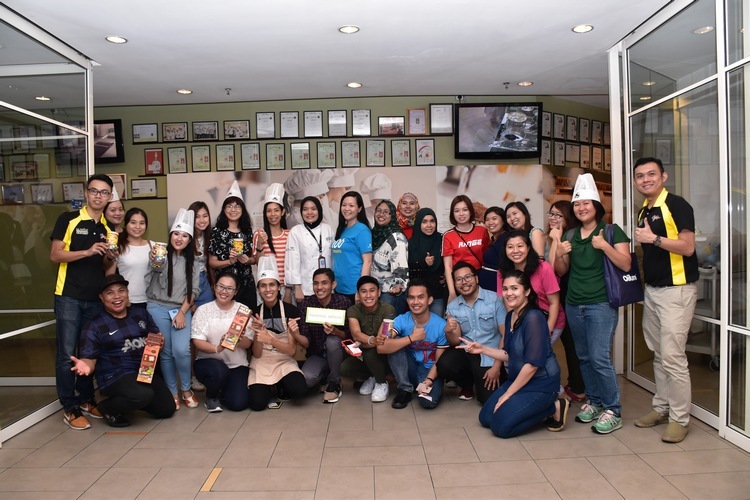 The participants, now technically known as “students”, divided themselves into teams of threes and twos and were taught three recipes by Chef Athira, Chef Lecturer, Berjaya University College. 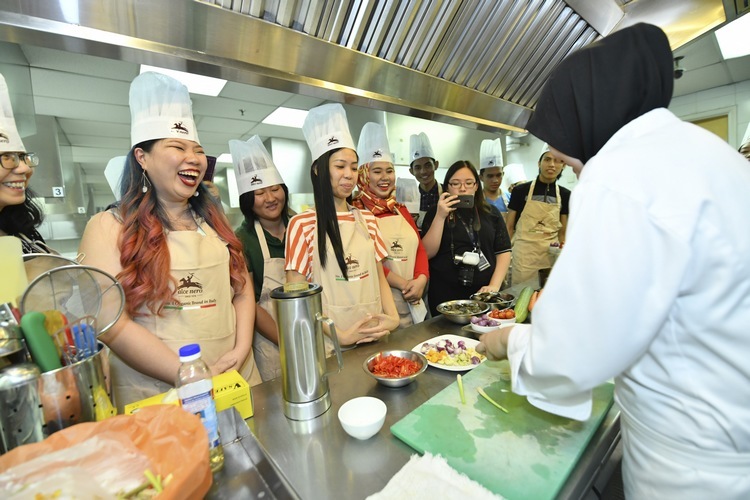 The confident and super capable chef also emphasised on an orderly way of maintaining their individual stations and how to ensure food safety in preparing the raw ingredients. 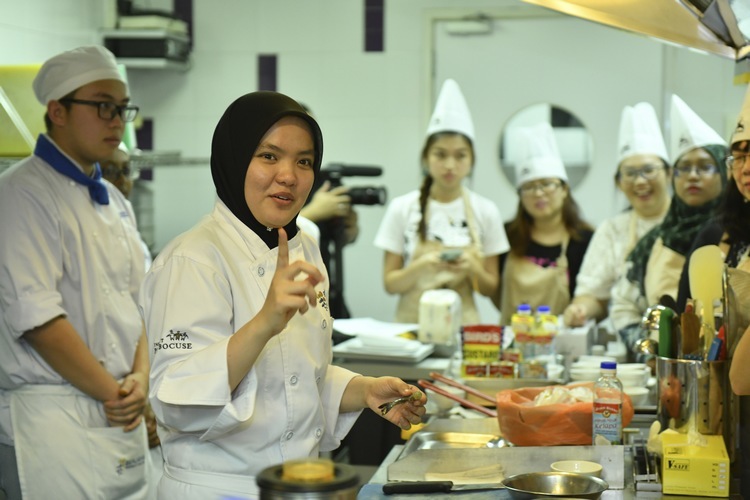 Chef Athira earned her Master of Philosophy (Food Studies) from Université Toulouse Jean Jaurès, Le Mirail, France, and has a very straightforward yet engaging approach of training her eager students. 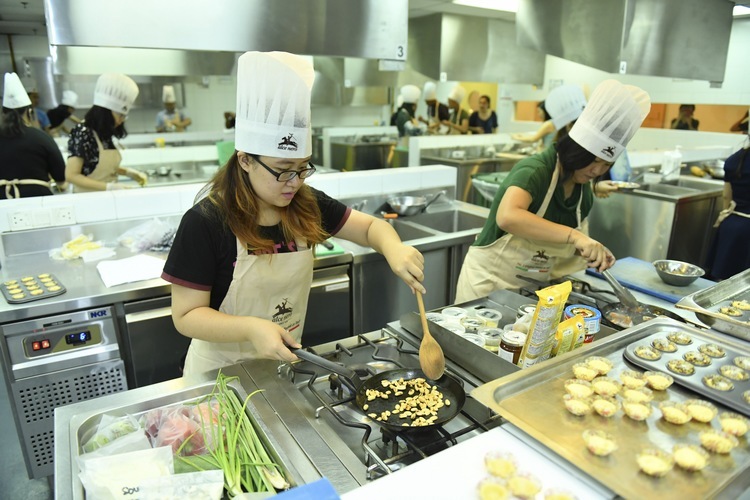 Given only three hours to prepare Tri-Color Asian Pasta Salad, Italian Seafood Laksa and Chinese Strawberry Jam Cakes, the students soon got to work. 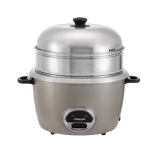 “It was indeed a challenge to cook under such time restrictions. 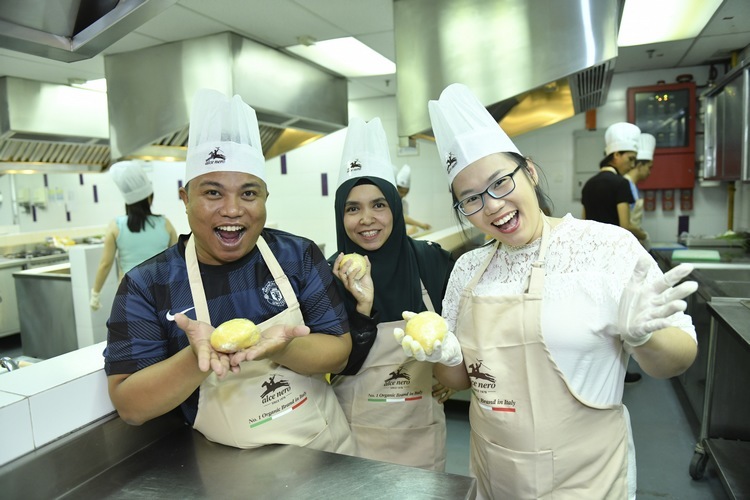 When I cook at home, I can take all the time that I need, but here, I can feel the stress,” said Syafiera Yamin, an energetic mummy blogger. 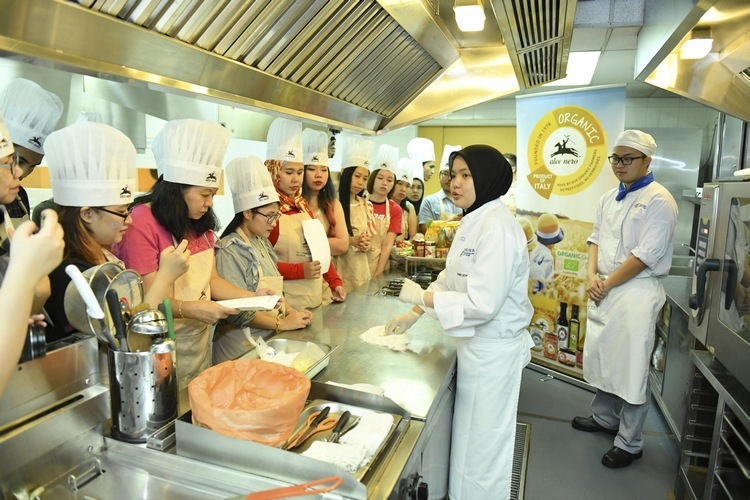 In spite of the intense pressure, she had great fun cooking with her station mates and have demonstrated great skills in food presentation. Their team won the best salad award. 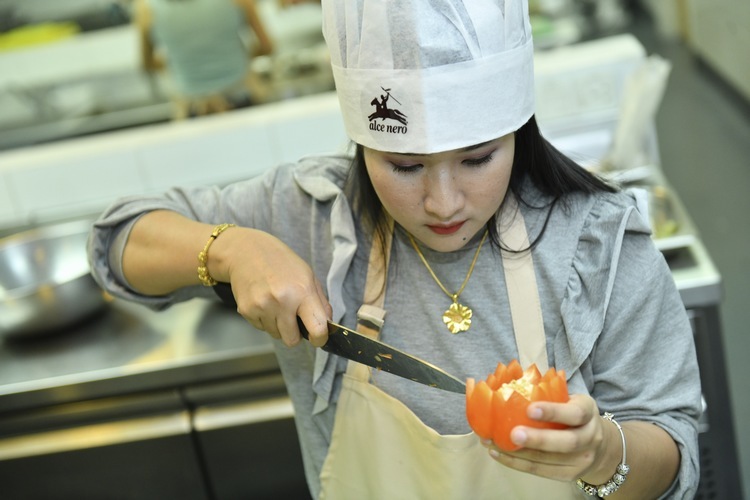 Syafiera Yamin has serious vegetable carving skills! 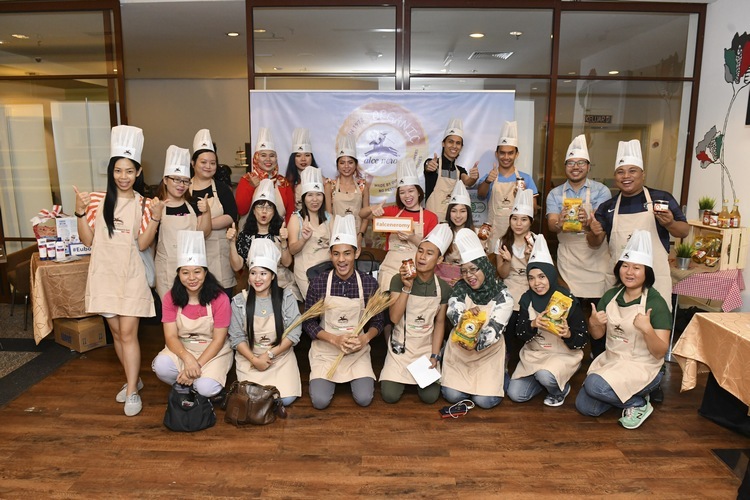 Dboystudio, Rodiah Amir and Kathy Wui teamed up to concoct the best laksa of the day. They worked well together as evidenced by their huge grins and warm rapport. (From left to right) Dboystudio, Rodiah Amir and Kathy Wui make a great team! 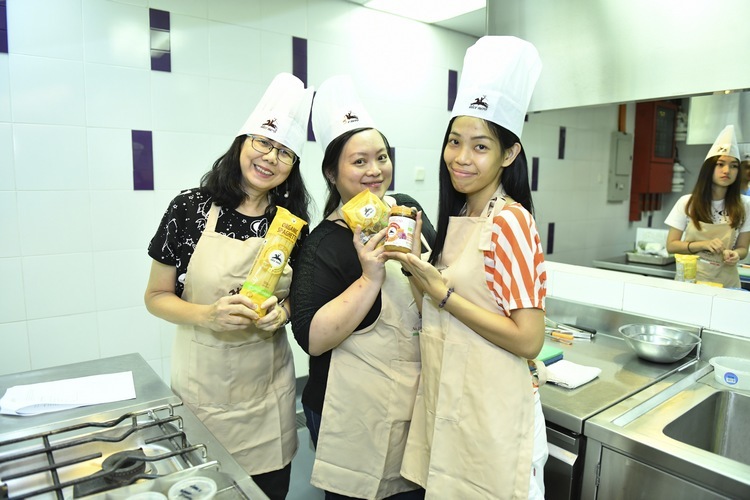 Kooi Mei, Wen Li and Shet Ling of Team 3 won the best strawberry jam cakes and commented that it was a timely recipe to make for the upcoming Chinese New Year celebrations. 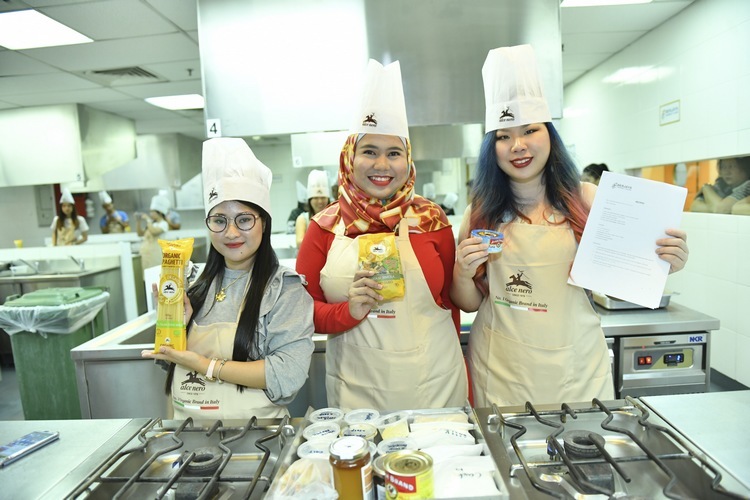 (From left to right) Kooi Mei, Shet Ling and Wen Li won the best strawberry jam cakes dish! Cooking under a time limit is quite a feat! 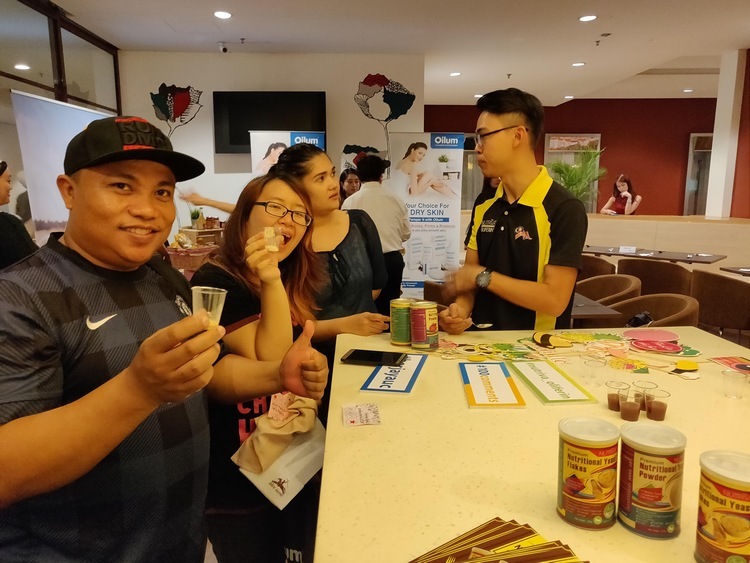 After the rousing cooking session, the participants explored the booths to learn about the products on display and to sample them as well. 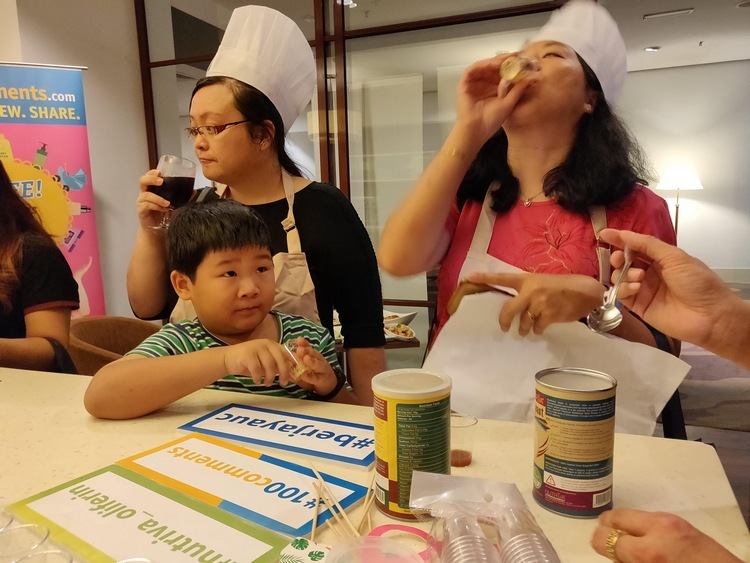 Nutriva® MoriHeal Plus Rejuvenating Botanical Beverage tasted so good, even the kid loved it! 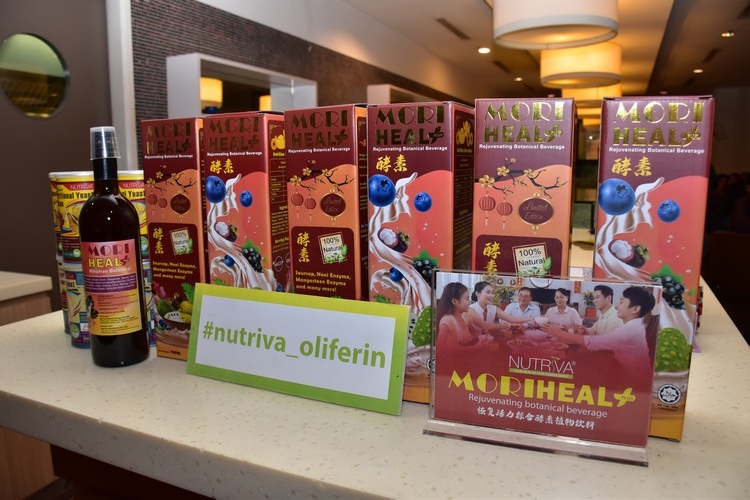 The Nutriva station had samples of the refreshingly delicious Nutriva® MoriHeal Plus Rejuvenating Botanical Beverage, which is made from 100% natural ingredients that include Soursop, Noni Enzyme, Mangosteen Enzyme, Moringa leaf, Grapefruit, Pomegranate, Bilberry and Blackcurrant for supporting digestive health, immunity and general well-being. 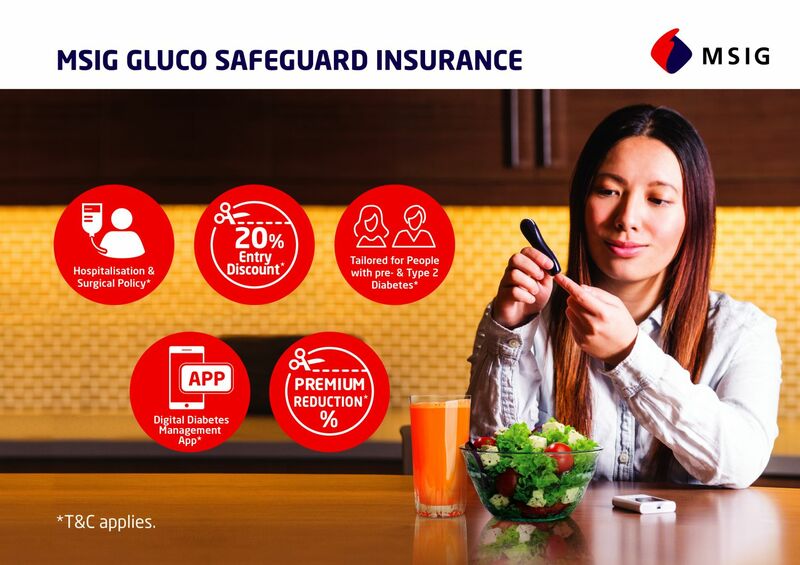 “There is no added sugar or unwanted additives in this nutritional beverage. 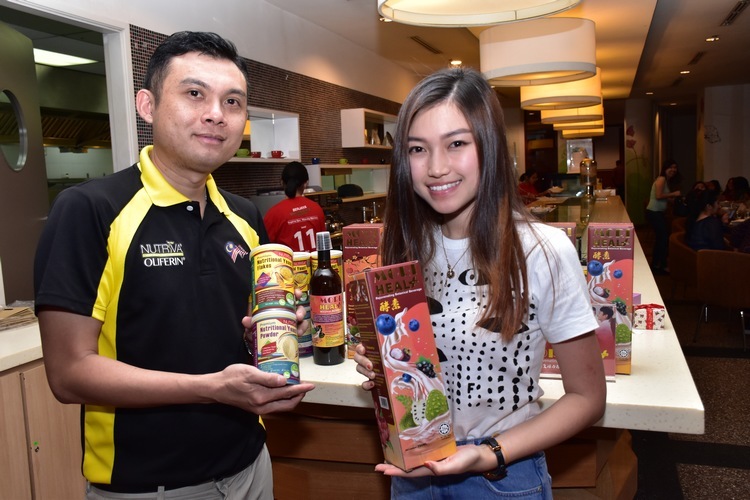 What you taste is the sweetness of from the fruits themselves,” said Mr Wallace Teoh, General Manager, Nutriva International Sdn Bhd. Just a typical day, hanging out at a juice bar! 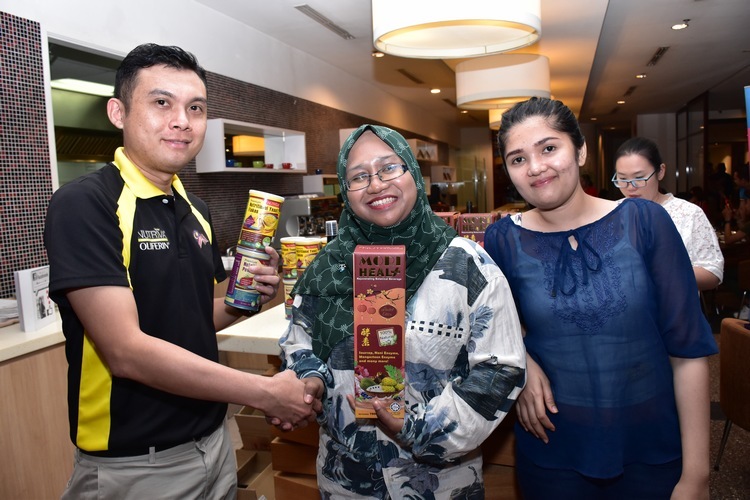 We were also treated with the Nutriva® Nutritional Yeast, which was liberally sprinkled on our salad and laksa dishes, which subtly enhanced the flavours. The nutritional yeast is produced from a specially selected strain of Saccharomyces cerevisiae and has been deactivated by heat and roller dried to obtain powders or flakes. 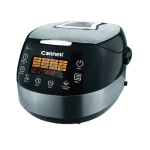 It is a popular vegetarian/vegan ingredient, which adds a great, savoury flavour to a variety of dishes. Nutritional yeasts are naturally rich in proteins and dietary fibres, as well as containing a significant level of vitamins and minerals. 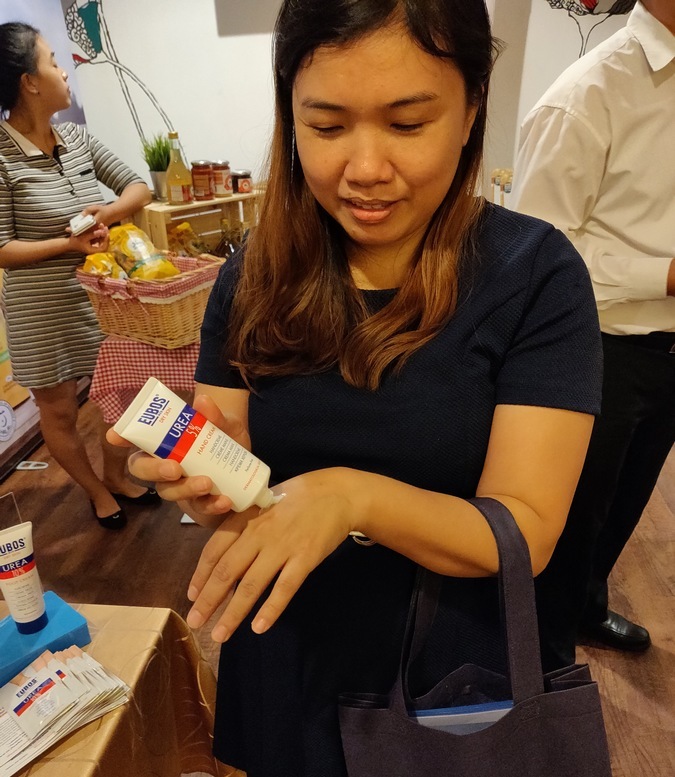 The Oilum booth had bloggers sampling the Oilum lotion that protects the skin from the harsh and drying environmental damage. 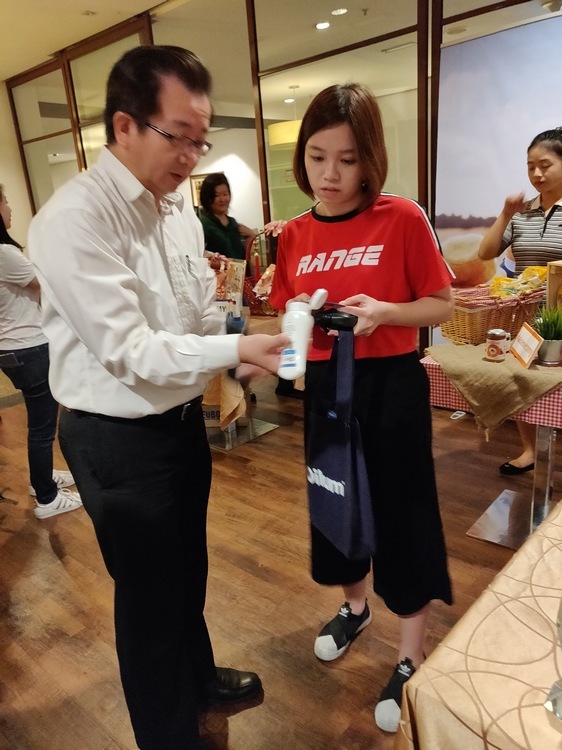 They also got to know more about the Oilum firming hydro rebalancing cleanser that cleanses the face and body without stripping the moisture from the skin. 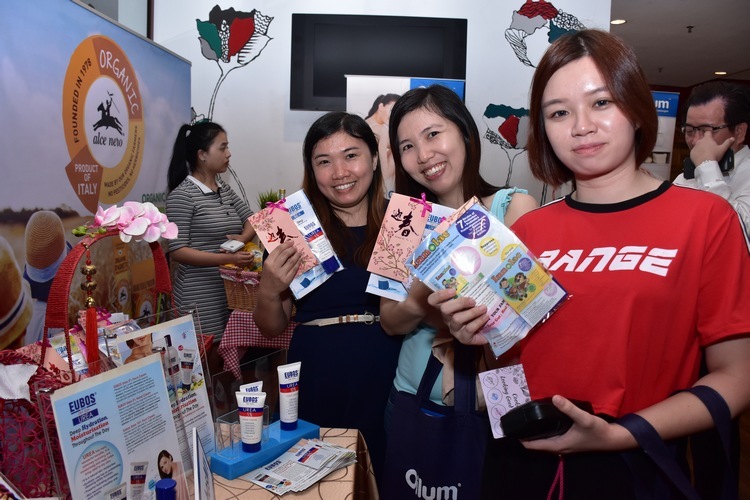 “All these are possible thanks to the natural olive oil and collagen ingredients contained in the Oilum products that work together in a unique formula resulting in younger-looking skin,” said Mr Andrew Tan, Director of MD Pharma. 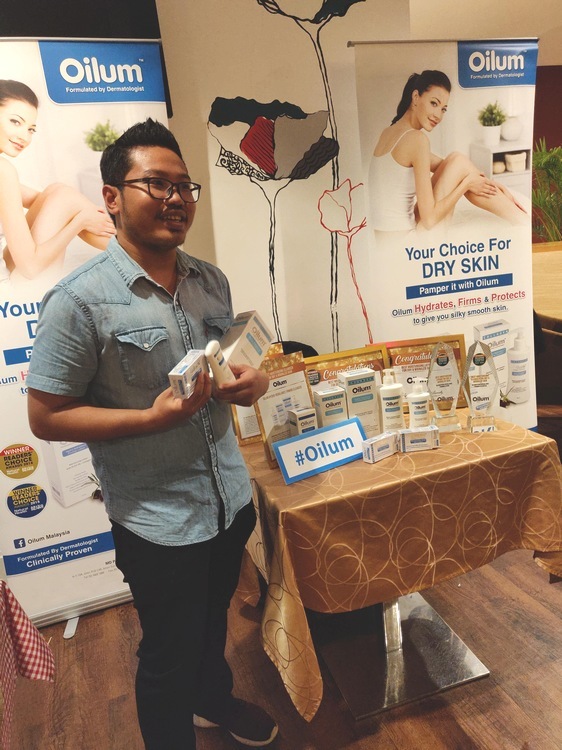 Khairul Anuar just loves Oilum products! Rodiah Amir (center) flanked by Mr Andrew Tan (left) and his assistant. 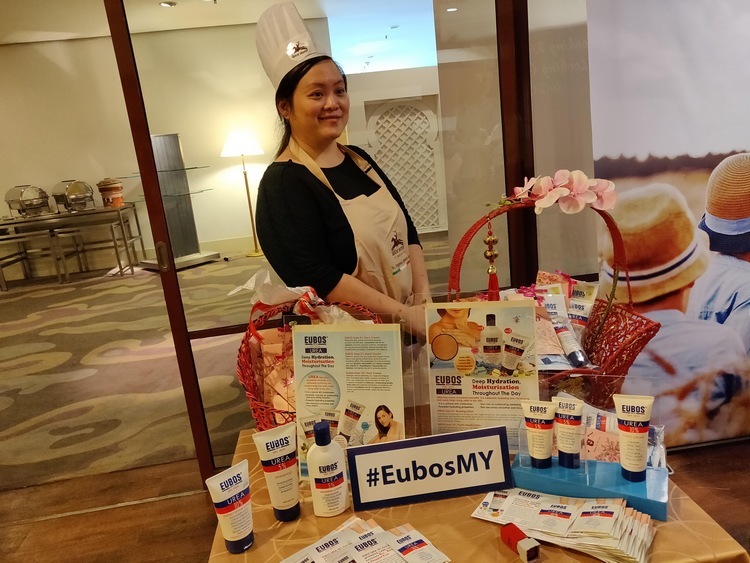 Participants also got to discover the goodness of EUBOS Skin Care products, which are scientifically formulated with proven effective dermatological ingredients to cleanse, nourish, protect and enhance healthy skin. EUBOS Basic Skin Care range consists of cleansing and care products for every skin type. The proven dermatological active ingredients protect the biosphere of the skin and provide emollient and moisture. 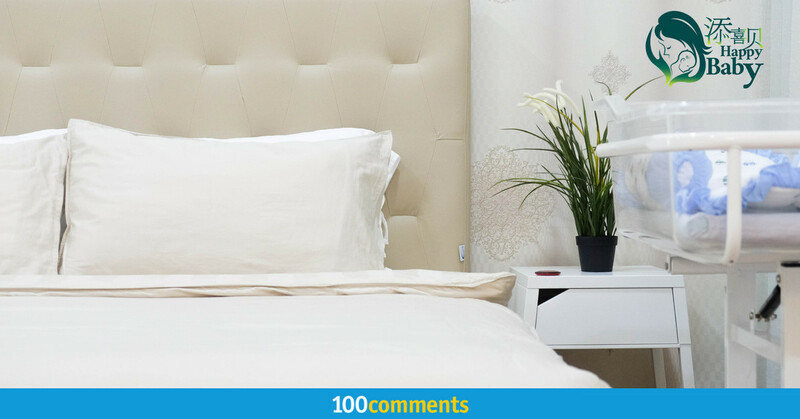 The EUBOS Sensitive Skin range is designed specifically for sensitive dry, easily irritable skin. They are proven to have a regenerating and protective effect as they supply dry skin with intense moisture and selected emollients. 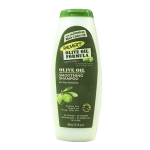 We can’t wait to try out EUBOS Anti-dandruff Shampoo! 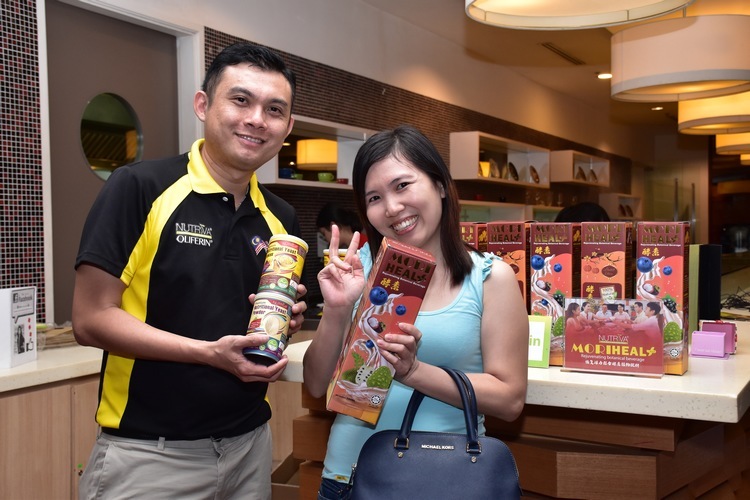 In addition to our attractive goodie bags with items worth RM200, there were plenty contest winners that day. 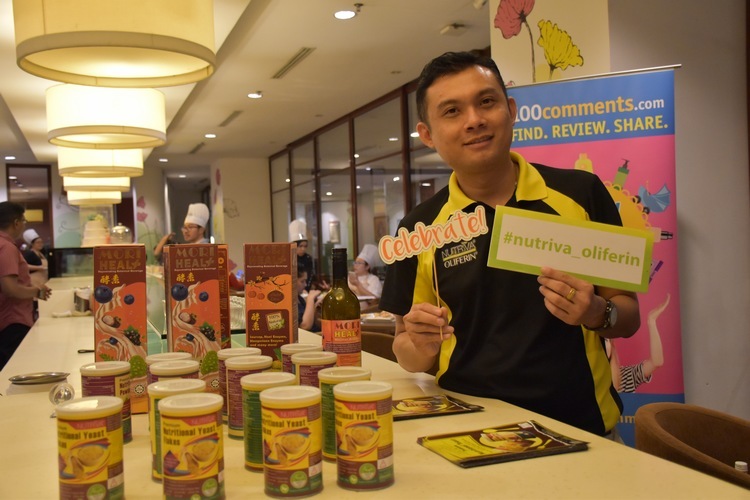 Here are a few of them receiving the generous gifts courtesy of Nutriva. 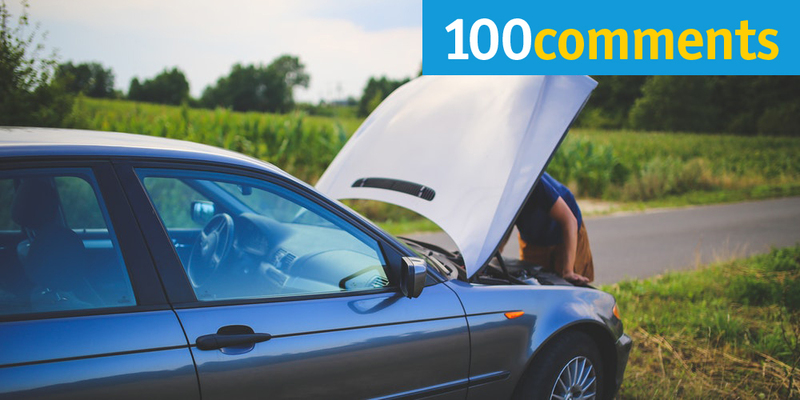 The exciting event drew to a close at about 4 pm with satisfied and happily tired smiles all around. 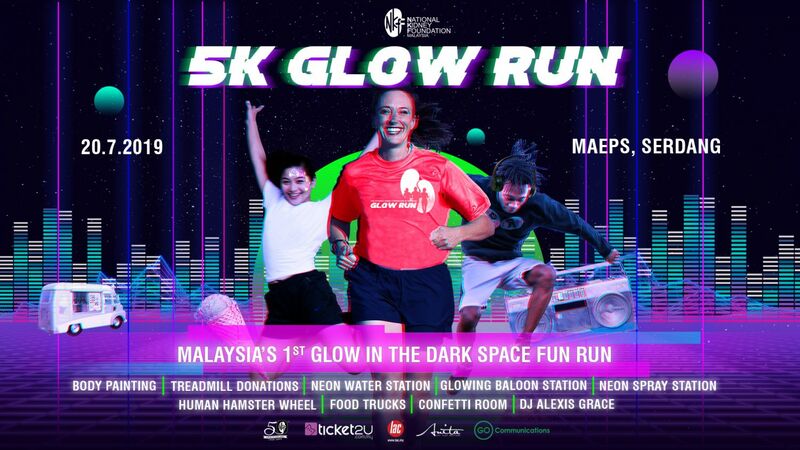 It was such a pleasure getting to know everyone and we hope to see you in our next event!